The Arizona-based Center for Biological Diversity issued a statement Wednesday rebuking a House spending bill that would fund $5 billion next year for President Donald Trump’s proposed border wall. The center was the first to sue the Trump administration to stop construction of the border wall and prototypes in San Diego, followed later by the Sierra Club, Defenders of Wildlife and Animal Legal Defense Fund. These cases were consolidated by California Attorney General Xavier Becerra and U.S. District Judge Gonzalo Curiel, the latter siding with the president in a February ruling. During his presidential campaign, Trump berated Curiel over the federal judge’s handling of fraud allegations against the now-defunct Trump University, suggesting that the Indiana-born judge’s Mexican heritage reflected a bias. The center has appealed Curiel’s ruling and has also challenged the administration’s New Mexico waiver speeding construction of the wall there. The $5 billion is well above the $1.6 billion in the Senate version of the bill, which would finance the Homeland Security Department. The higher amount matches what Trump has privately sought in conversations with Republican lawmakers, according to a GOP congressional aide. The aide wasn’t authorized to speak on the record about private discussions and spoke on condition of anonymity. 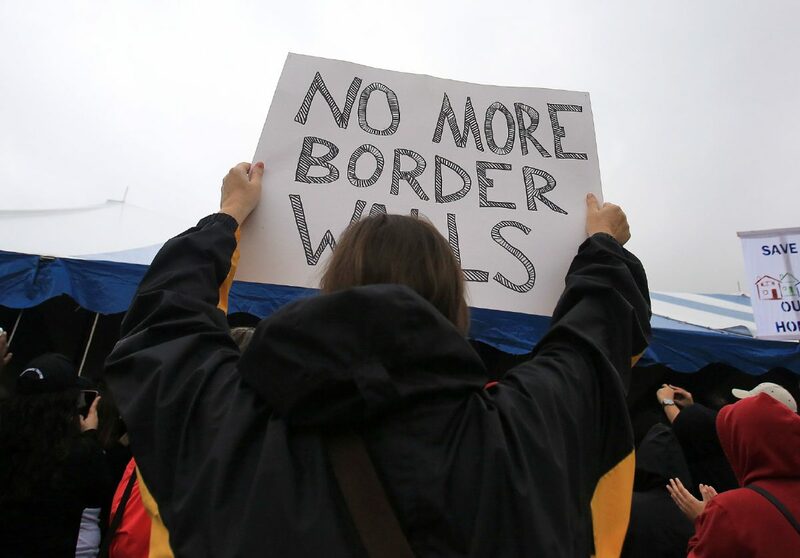 “Keeping Americans safe by protecting our homeland is a top priority,” Rep. Kevin Yoder, R-Kan., who chairs the House Appropriations Committee’s homeland security subcommittee, said in a written statement. The panel released details of its bill the same day the House was set to debate a symbolic measure lauding Immigration and Customs Enforcement and belittling proposals to abolish it. The GOP-written legislation is aimed at embarrassing and dividing Democrats, after a group of liberals introduced a bill last week erasing that federal agency. Liberals consider it an instrument of carrying out Trump’s severe immigration policies, including his now-abandoned separation of migrant children from their parents. But other Democrats think that bill went too far and risked alienating moderate voters. This story was compiled from reports by AP reporters Alan Farm and Elliot Spagat and Monitor staff writers.